It is a great honor and privilege for Islamic Society of Delaware to host an evening with renowned Shaikh Yasir Abdul-Basit son of the most famous reciter of the holy Quran the late Qari Shaikh Abdul-Basit Abdus-Samad of Egypt. Shaikh Yasir Abdul-Basit Abdus-Samad, born on the 26th of May 1969 is the youngest son of the world renowned reciter Shaikh Abdul-Basit Muhammad Abdus-Samad (Allah be pleased with him). With the influence of his father, Shaikh Yasir Abdul-Basit developed a great love for the Holy Qur'an. From a very young age he would perform short recitations at school which followed through to performing on the world stage. Shaikh Yasir Abdul-Basit has received many global awards from various organizations for his works and services for the Holy Qur'an. Shaikh Yasir Abdul-Basit will visit and amaze our community with his beautiful recitation of Qur'an at Masjid Ibrahim on Saturday March 29 after Maghrib Prayers. Community members are invited to attend and avail this blessed opportunity at our own masjid. 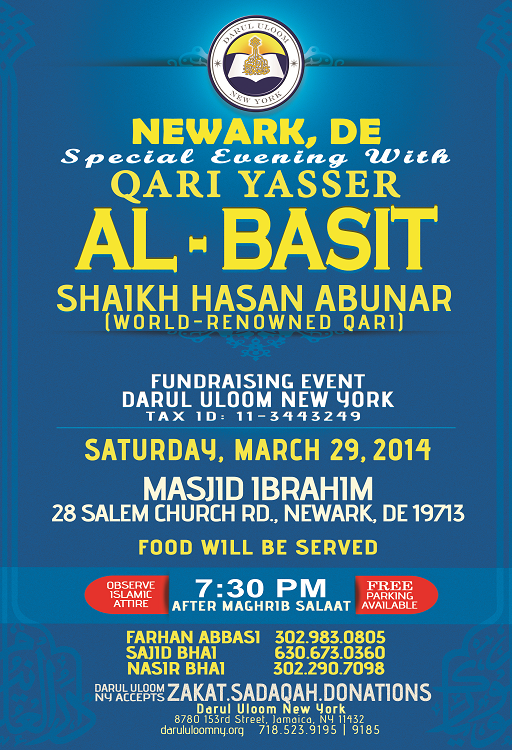 Please note that this is a fundrasing event for the Darul Uloom, New York. 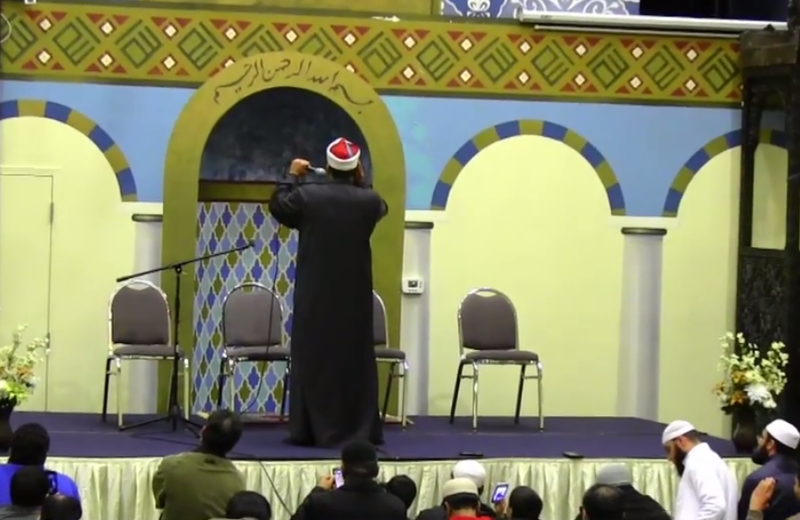 Wonderful recitation of the Holy quran by Sheikh Yasir Abdul-Basit. Son of the Great Recitor AbdulBasit AbdusSamed. Darul Uloom New York, founded in 1997, aim to create an Institution in which our children can be educated with true Islamic values in a humble Islamic environment. Traditional Islamic values coupled with a firm background in secular education and upbringing in order to produce the Muslim scholars of the future.